Tomorrow is Hammock Day, and to celebrate we want to share some great photos of sponsored kids, staff and sponsors enjoying hammocks around the world. Adriana soaks up some vitamin D while hanging out in her hammock. Sponsored friends take turns with sponsors trying out this hammock on a recent awareness trip to Costa Rica. These sponsored children from Colombia are happy to share a hammock. 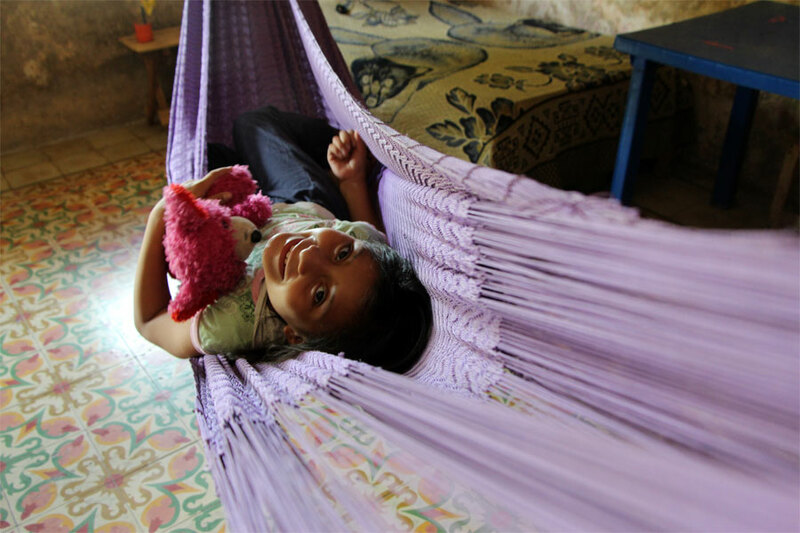 Eleven-year-old Nery relaxes in a hammock. Geraldine and her teddy bear snuggle into her hammock at her home in Mexico. : Sponsored children in Colombia try using hammocks as impromptu swings on a beach day outing. Byron, a sponsored youth from Nicaragua, has mastered the art of hammock making. Some of Byron’s hammocks are hung between trees, just waiting for someone to lounge on them. This Colombian sponsored child makes good use of the shade and a hammock on a beach day outing. Sponsor Angela Friedman takes a moment to rest on an awareness trip to Nicaragua. On a beach day outing, this sponsored youth got a chance to hang out in a hammock. Ervin Martinez, project coordinator for Unbound’s Managua program in Nicaragua, enjoys his chance to relax in a hammock while on an awareness trip. Have a hammock photo? Share it with us on Facebook or Twitter!